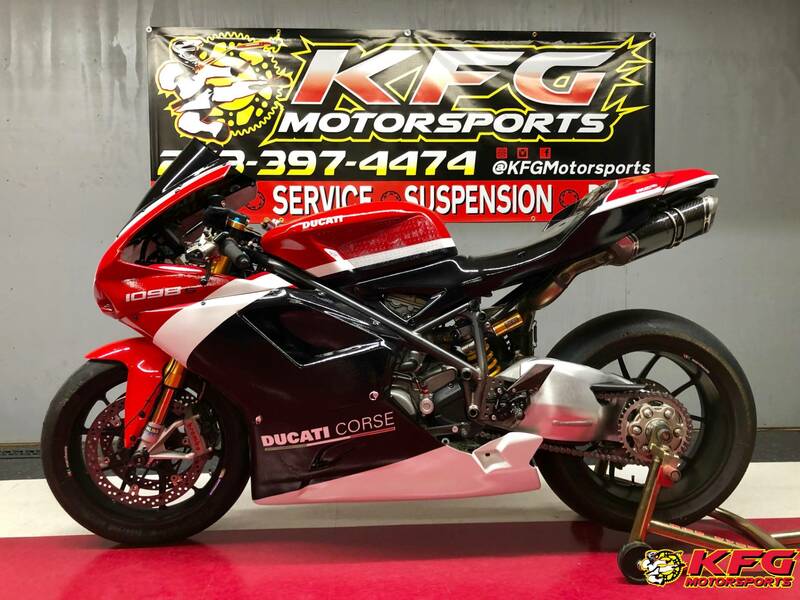 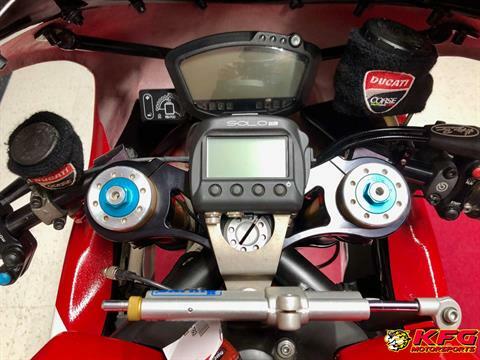 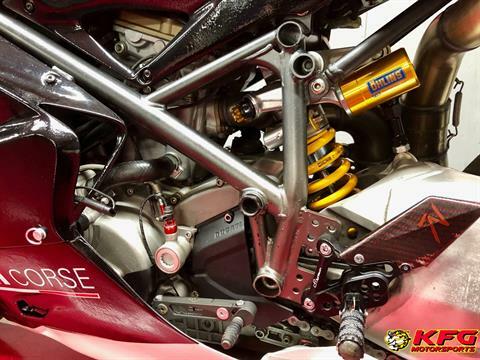 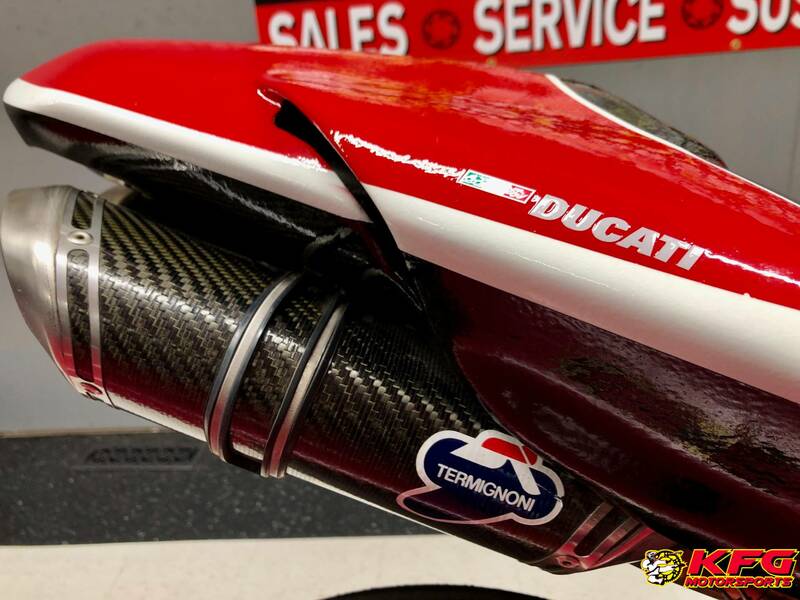 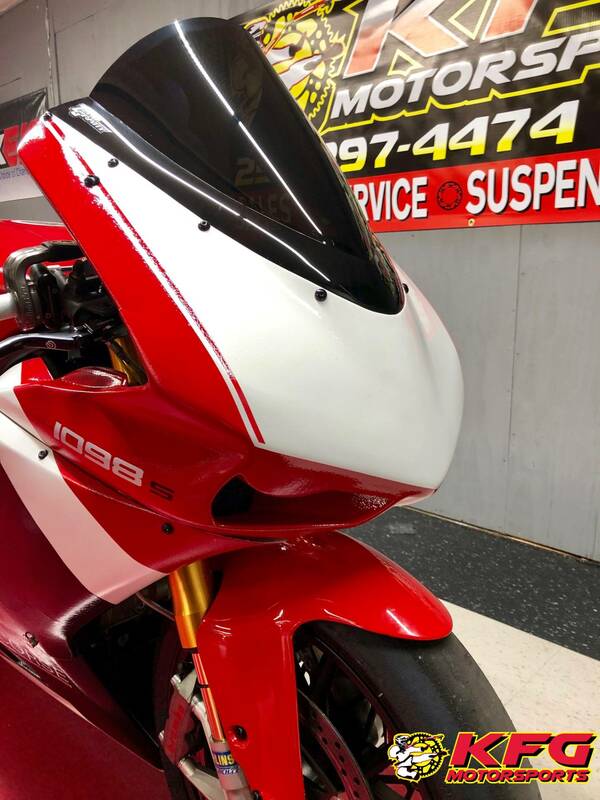 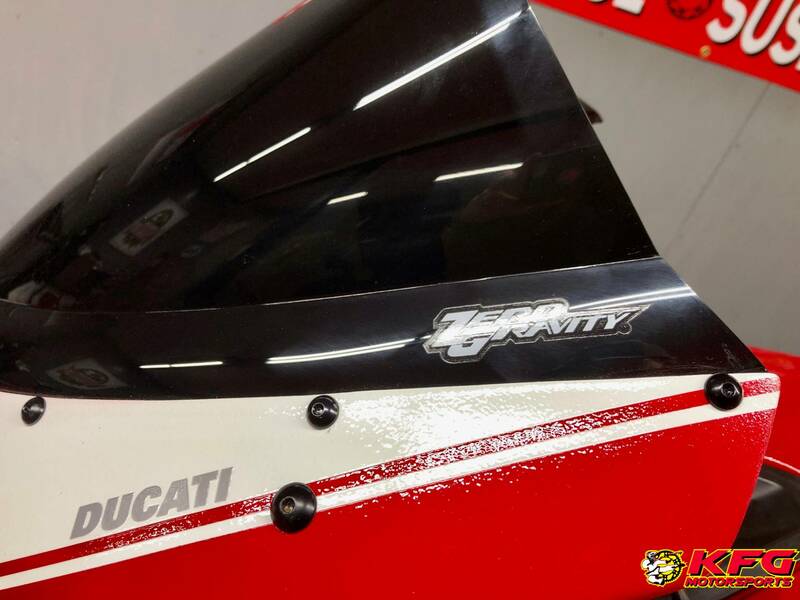 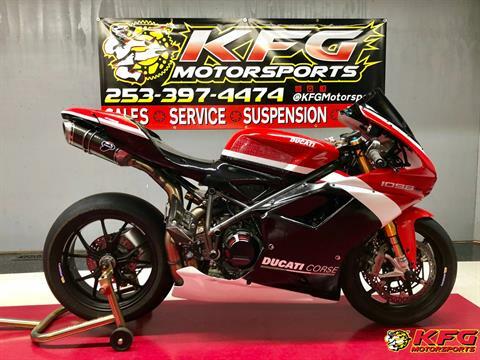 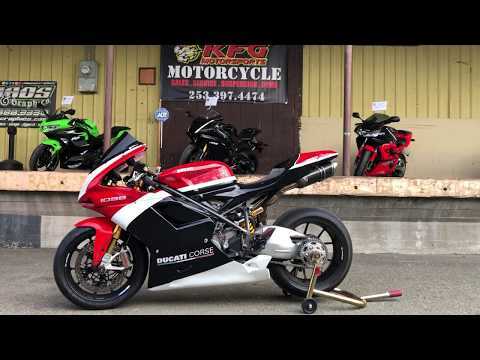 THE MOST POWERFUL, LIGHTEST L-TWIN SUPERBIKE IN HISTORY The new 1098 S is the highest performance Ducati street bike ever made. Reducing weight even further and the addition of world-class components make the 'S' ready to deliver the dream of owning the ultimate Superbike. 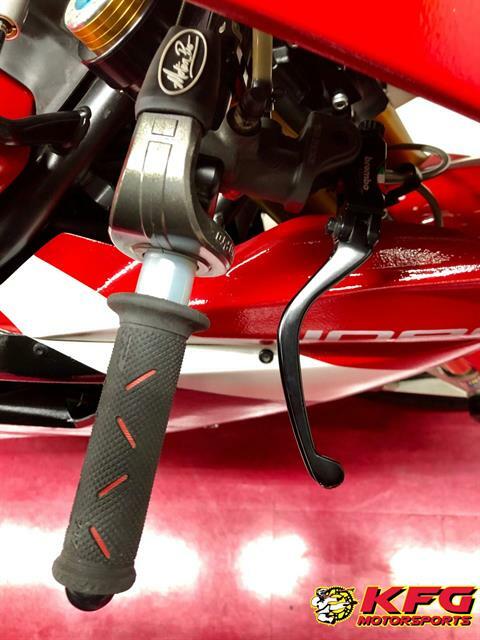 The fully adjustable 43 millimeter Öhlins FG511 forks, which sport low friction Titanium Nitride fork sliders, respond effortlessly to every imperfection in the tarmac. 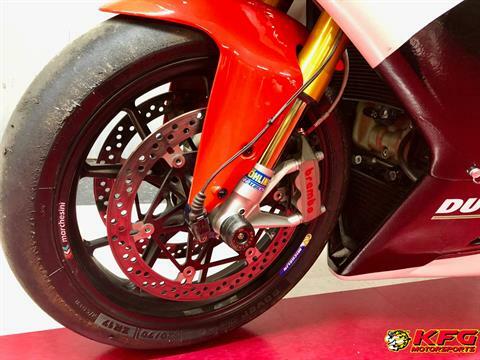 Beyond their advanced engineering solutions, one of the most important characteristics of Öhlins forks is their ability to communicate the condition and quality of the tire-to-road contact patch, putting the rider in total control. The suspension system is completed and perfectly balanced with a fully adjustable Öhlins 46PRC rear shock with a ride enhancing top-out spring, controlling the single-sided swingarm for outstanding drive, traction and steering precision. The Öhlins package is completed with a control-enhancing adjustable steering damper. The 'S' also sets a new standard for lightweight performance. 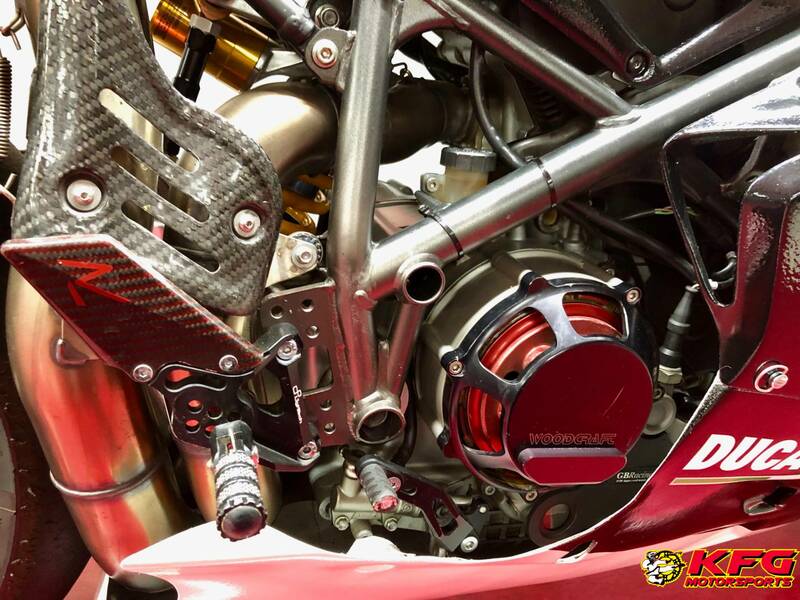 On any sport or race bike, the most effective area to reduce weight is its 'unsprung weight'. This is achieved through reducing the weight of components such as tires, brakes and wheels. 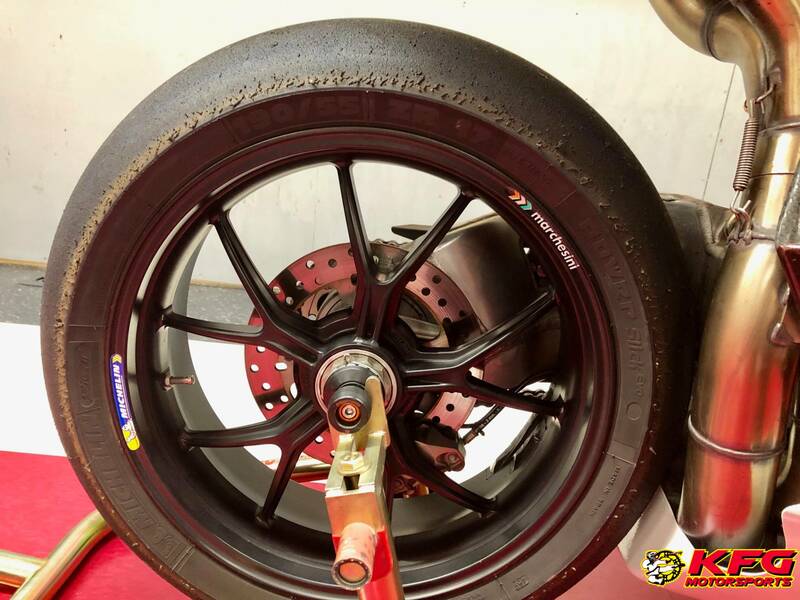 Lighter wheels have a lower 'moment of inertia' that is beneficial with every direction change and application of the brakes. 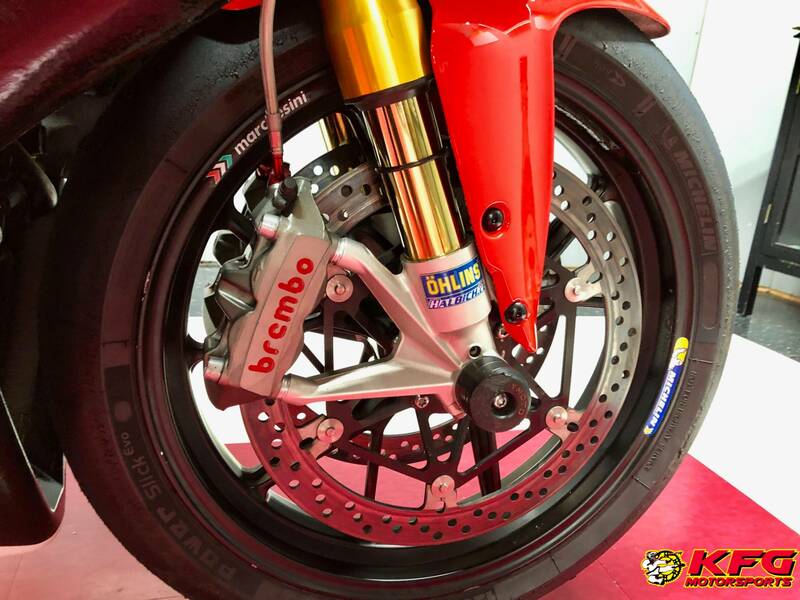 The 1098 addresses this important area by mounting Marchesini forged and machined wheels, reducing weight by 4 pounds (1.9 kilograms). The weight saving is further enhanced with the application of a carbon fiber front fender and seat fairing cooling ducts.